On the opposite side of Sydney Harbour from Quay and Otto, Aqua Dining is another fine-dining experience that comes with great views. 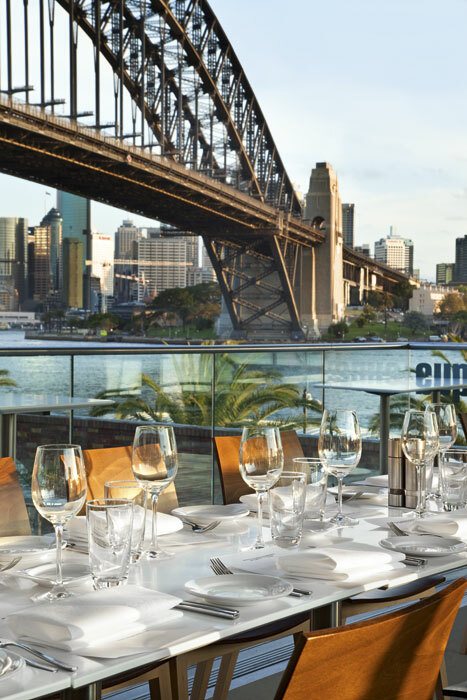 Aqua has recently undergone a refurb to make the restaurant more open to its magnificent location, positioned between Luna Park and the Harbour Bridge, and overlooking North Sydney Olympic Swimming Pool at Milsons Point. A million-dollar makeover of the historic Peppers Mineral Springs Hotel in Hepburn Springs, a quaint town in Victoria’s Macedon Ranges, has revived the spirit of the 1930s. The hotel’s restaurant, Wild Birch, has always been a lovely Art Deco space and it is now joined by The Conservatory café. Both eateries are looked after by executive chef Michael Horsley, who has a Michelin star and two hats to his name. 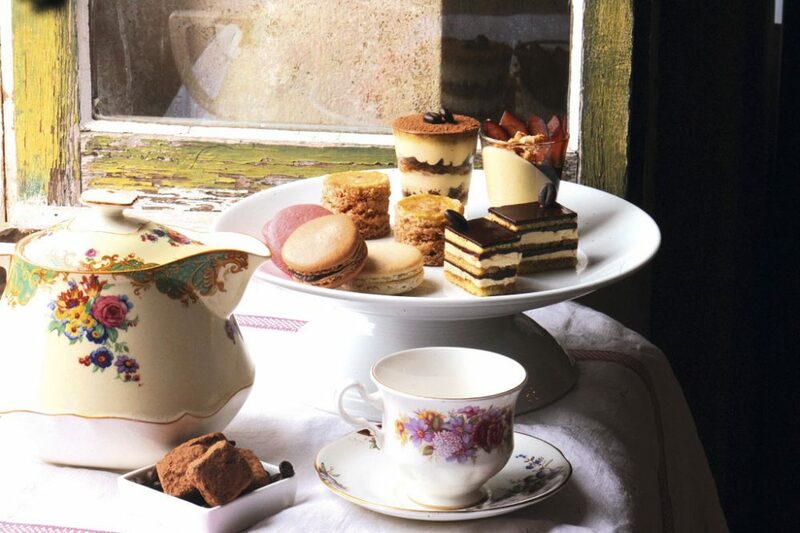 Perhaps best of all for summer is High Tea Under the Arches: afternoon teas taken in a glorious shady garden setting. Be sure to book ahead. Traditional baking and early Australian fare are celebrated at the Malmsbury Bakery and Gallery, on the banks of the Coliban River in Victoria’s Macedon Ranges. Just in time for Christmas, the 25-year-old bakery has opened an online ordering service, so people Australia-wide can enjoy its Dundee cake. 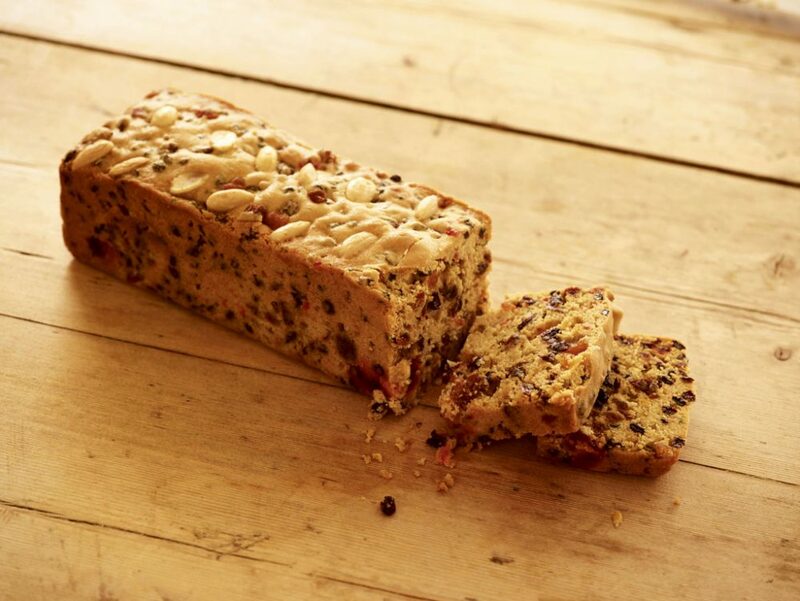 One of the great British cakes, it was allegedly loved by Mary Queen of Scots, and is a light fruitcake that goes well with an Aussie summer Chrissie. Gut fish and remove the tail and fins. Take a large chef’s knife and remove the head. Make a small incision across the tail (be sure to cut only the skin, not into the flesh) and pull away the skin. Repeat on the other side. 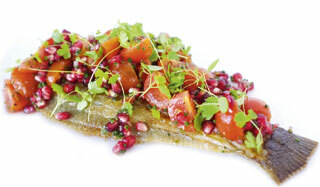 Place the cherry tomatoes, pomegranate seeds, eschalots and chives in a bowl. Mix with 50ml olive oil and the vinegar and season with salt. Heat two large frying pans, add 10ml of olive oil in each and place the flounders in. Cook for three minutes either side. Once cooked, remove and place onto a tray. Season with salt and spread the salsa evenly over the top of the fish. Add the baby herbs. Use a fish slice to gently transfer the fish onto plates. Serves four.